Tibor and Lumia ($0.20) Price History from major stores - Guildpact - MTGPrice.com Values for Ebay, Amazon and hobby stores! 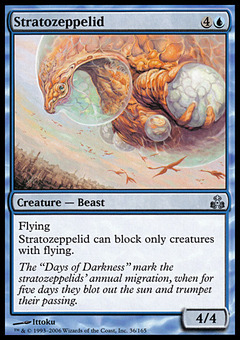 Card Text: Whenever you cast a blue spell, target creature gains flying until end of turn. 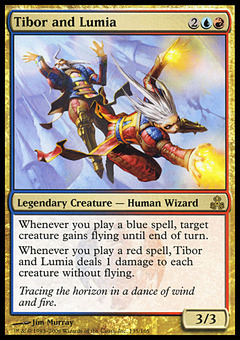 Whenever you cast a red spell, Tibor and Lumia deals 1 damage to each creature without flying. 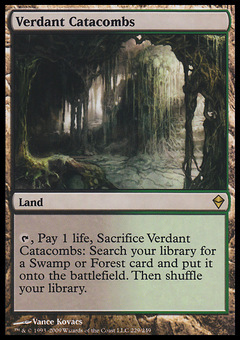 Flavor Text: Tracing the horizon in a dance of wind and fire.